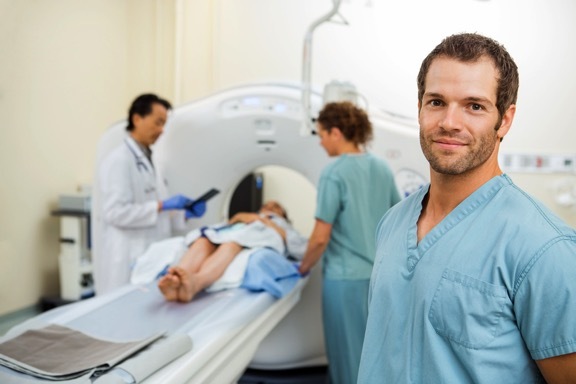 The significant growth in imaging use experienced at the beginning of the millennium has mostly leveled off and declined in recent years, according to researchers from the Department of Radiology at Thomas Jefferson University. Major cuts to reimbursement and more careful ordering of noninvasive exams are the main reasons for the decline in growth. However, according to the head researcher of the study, David Levin M.D and his fellow colleagues record levels of insured Americans and increases in preventative screening should ensure imaging utilization remains steady in the nearby future. Advances in advanced imaging, a maturing population, and increased patient knowledge about imaging were the primary drivers of the record increase in imaging during the early 2000s. While imaging utilization peaked in 2007, it provoked policy makers to assess incentives to curb imaging spending. According to the study published in Health Affairs by Levin et al., between 2000 and 2007 the utilization of imaging grew faster than the use of any other physician service in the U.S. In 2007, the fees charged and the use of imaging was higher in the U.S. than in any other developed country, which raised concerns among policy makers. Therefore, between 2008 and 2013 a number of cuts in imaging reimbursement were established by the Centers for Medicare and Medicaid Services (CMS) and commercial payers in an effort to try to control growth in the utilization of imaging. Dr. Levin and his fellow colleagues also examined Medicare Part B databases from 2001 to 2014, measuring the number of discretionary non-invasive procedures. The researchers excluded invasive procedures, as those procedures are typically non-discretionary. They found that the rate of all noninvasive diagnostic imaging increased gradually from 3,520 per 1,000 beneficiaries in 2001 to a peak of 4,422 in 2008, which was an overall increase of 26 percent. This actually represented a compound annual growth rate of 3.3 percent. During the next three years, substantial declines seemed to occur, mainly due to code bundling. Dr. Levin and his colleagues showed that the decline in usage were linked to dates when certain policies, such as cuts in reimbursement and code bundling, came into effect and decreased the overuse of these diagnostics. Code bundling led to large reductions in utilization rates of imaging, but there were other factors that also helped limit the rapid growth. These factors included greater attention by physicians to practice guidelines, concerns about radiation exposure to patients, and the Great Recession of 2007 to 2009. According to Dr. Levin and his co-authors, imaging utilization should remain stable if everything holds. The researchers believe that their data suggests the current usage rates will stay, for the most part, level in the foreseeable future. The Affordable Care Act has also expanded its coverage to include more Americans than ever before, and its fundamental health benefits dictate insurance plans cover low-cost preventative screening exams. Further, the pool of exams is growing. For example, low-dose lung cancer screening was recently approved by the CMS, and imaging advocates are pulling for mandated coverage of other exams, such as virtual colonoscopy. However, there are forces that still exist that exert downward pressure on imaging. This includes radiology management companies, concerns about radiation, and reimbursement cuts and bundling. Advanced alternative payment models may also decrease imaging utilization, as this type of program has strong incentives to reduce spending and could curb the use of diagnostic imaging among commercially insured Americans. Although there are complex factors, and the future is hard to predict, Dr. Levin and his colleagues still believe that, without further major code bundling, imaging use rates will remain at current levels in the future without significant moves in either direction. Staying up-to-date with healthcare industry news is a helpful way to keep your practice or clinic running smoothly. At HIS, we remain committed to educating our readers and keeping information accessible whenever you need it. If you would like more healthcare industry updates, revisit our blog or sign up for our monthly e-Newsletter today!